Buy this item and earn 160 ClubPoints. 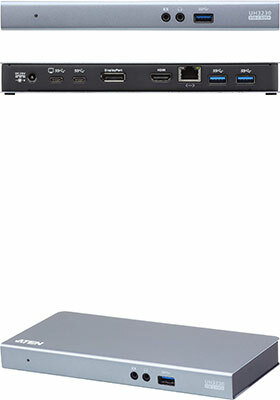 UH3230 connects all the devices you have ever wanted to transform your everyday USB-C or Thunderbolt™ 3 laptop into a more advanced desktop computer - in an instant. 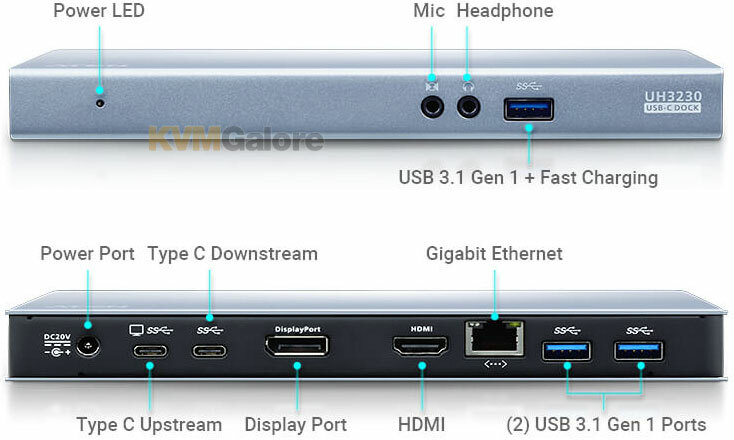 UH3230 provides eight peripheral ports - USB-C, Gigabit LAN, DisplayPort with Multi-Stream Transport*, HDMI, audio and three USB 3.1 Gen 1 ports - through a single USB-C cable. The front panel USB 3.1 port is ideal for high speed data transfers and quickly charging portable devices. UH3230 supports single display up to 4K resolutions via DisplayPort or HDMI and dual monitors in mirror and extended mode at resolutions up to 1080p. UH3230 routes video from a source computer to a DisplayPort or HDMI monitor via single cable while maintaining the highest quality 4K resolution. The multiport dock supports dual monitors in mirror and extended mode. 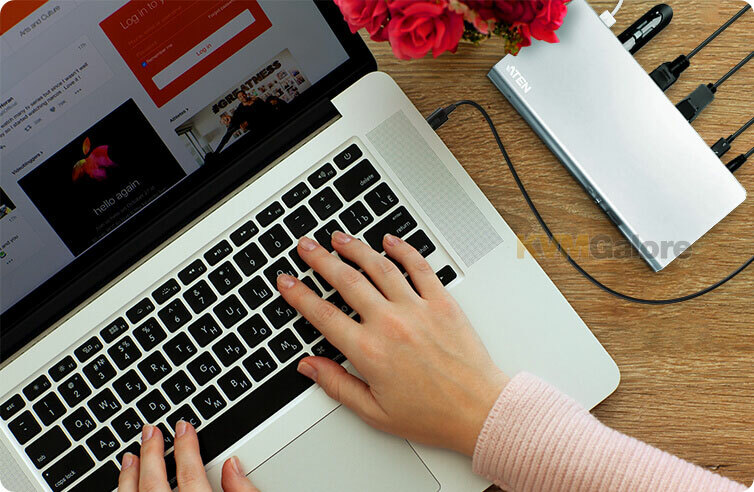 UH3230 supports USB-C Power Delivery 2.0, which provides power to matched USB-C laptops with PD profile specifications of 20V/3A, 20V/1.8A, 12V/3A, and 5V/3A. * Multi-Stream Transport is not supported by the Mac OS X, and only one additional video output can be utilized for extended desktop under the Mac OS. ** With Intel 7th generation Core Processor (Kaby Lake) and above. For video output to work through a USB-C port, it must support DP Alt Mode. For dual-view to work, a computer's graphics card must support MST technology. *** Mac computers only support single-view output.